UK based power metal outfit Power Quest have completed their new album 'Blood Alliance' and are ready for an ambitious and busy 2011. 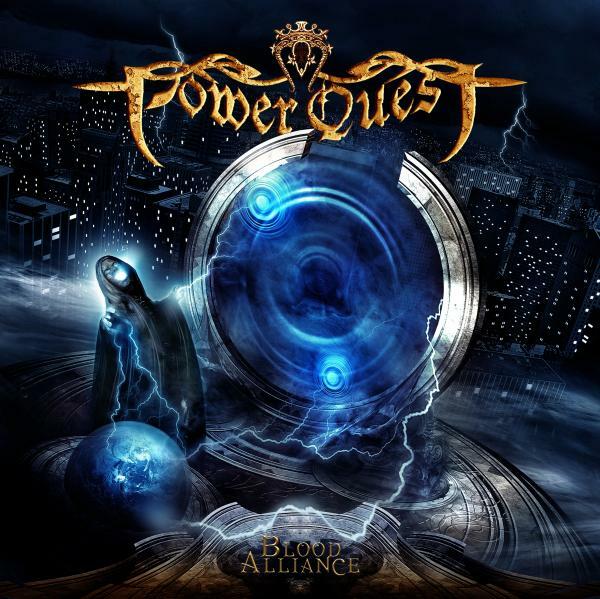 The 6-piece band has its 10 years anniversary coming up, and 'Blood Alliance' is scheduled for release in early 2011 (released in Japan first on January 19 via Marquee/Avalon). The European release is expected by the end of March, with the USA release in early April. The legendary Chuck Berry had to cut short his performance in Chicago after collapsing on stage. 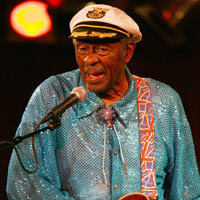 The 84-year-old became ill during a performance on Saturday night at the Congress Theater in Chicago, IL. The rock n roll legend, whose hits include "Johnny B Goode" and "Roll Over Beethoven," was unable to continue his gig. However, Berry returned to play 20 minutes later but told fans he had no strength to continue. The singer is said to be fine after receiving medical attention. Berry had earlier performed two New Year's Eve shows at B.B. King’s Blues Club and Grill in New York City. Relapse Records has revealed the cover artwork for the February reissue of DEATH's final studio album, 'The Sound Of Perseverance.' 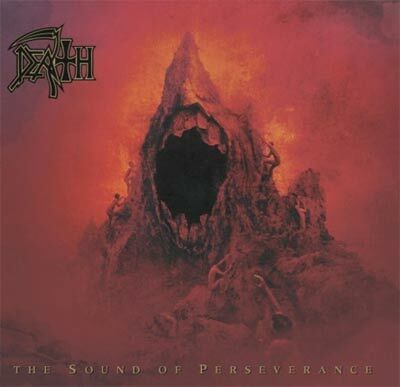 The first in a series of reissues planned for 2011, follows digital releases of the band's catalog in 2010 and will coincide with the 10th anniversary of guitarist CHUCK SCHULDINER's passing in 2001; following a battle with cancer. 'Sound' will be issued in a variety of deluxe editions with bonus material, new liner notes, and revamped artwork. Full details will be coming soon. BOBBY FARRELL, the energetic frontman of the disco/soul outfit BONEY M has passed away. The 61 year-old performer was found dead in a Russian Hotel room after failing to respond to a wake-up call. Farrell had been battling health problems in recent years and had complained of breathing problems prior to his band's performance in St. Petersburg on Wednesday night. BONEY M had widespread success primarily in Europe during the 1970's after forming in Germany. Scanning the upper stratosphere of this year's end-of-the-year holiday-centric music releases, it's tempting to think some record company execs decided it's time to head into full kamikaze-dive mode. Despite so much news revolving around the record industry's struggles to sell 99-cent singles and $9.99 album downloads, several labels have recently cooked up ultra-deluxe box sets for Miles Davis, Elvis Presley, Hank Williams and others priced at $200 up to $1,200. Chris Veltri stands behind the cluttered wood counter at Groove Merchant record store. Dressed in a navy peacoat and Levis, with sandy blond bangs draped over his blue eyes, he watches three customers browse his small Lower Haight shop. "Not bad for a Tuesday night," he says casually, his tone suiting his nickname, "Cool Chris," as the customers browse bins filled with vintage jazz, rare soul, disco, hip-hop, and collectible Brazilian records. First and foremost, Robert Knight is an artist in the fine art of photography. His photographs of rock performers have helped to define many iconic moments in rock ‘n’ roll. Whether his subjects are on stage performing or artfully posed for their publicity needs, album covers or personal interests, every picture captures the essence of what defines these people as musicians and legends in their own right. A considerable inventory of Knight’s work boldly portrays the explosiveness of the young Jimi Hendrix, The Rolling Stones, Led Zeppelin, as well as the poignant beauty of Joni Mitchell. Check out Robert’s work in his book, Rock Gods: Forty Years of Rock Photography and enjoy the glamour and drama of Alice Cooper, Little Richard and dozens more. 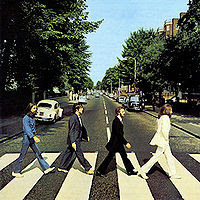 The white suit John Lennon wore in the iconic photograph that graced the cover of the Beatles' 1969 'Abbey Road' album sold for a cool $46,000 at New Year's Day auction Saturday.